The election of the next US president is upon us, and with established politicians such as Hillary Clinton and Jeb Bush poised to be key players, the campaigns seem destined to be as contentious, as ugly, and as seemingly removed from the reality of American lives as ever. In Sixteen for ’16, Salvatore Babones takes the politics out of policy, bringing the debate back to the issues that matter in a new, unified agenda for the 2016 elections. Decades of destructive social and economic policies have devastated poor, working, and middle-class American communities. It is now clear that harsh austerity does not bring prosperity, that the wealthy have no intention of seeing their wealth trickle down, and that each generation is no longer better off than the ones that came before. But what to do? In this progressive election field manual, Babones outlines sixteen core principles to combat these entrenched problems: America needs jobs, infrastructure, a rededication to public education, universal healthcare, higher taxes on higher incomes, a more secure Social Security, an end to the rule of the bankers, stronger unions, a living minimum wage, better working conditions, an end to the prison state, secure reproductive rights, voter equality, a more moral foreign policy, a more humane refugee policy, and action on global warming. 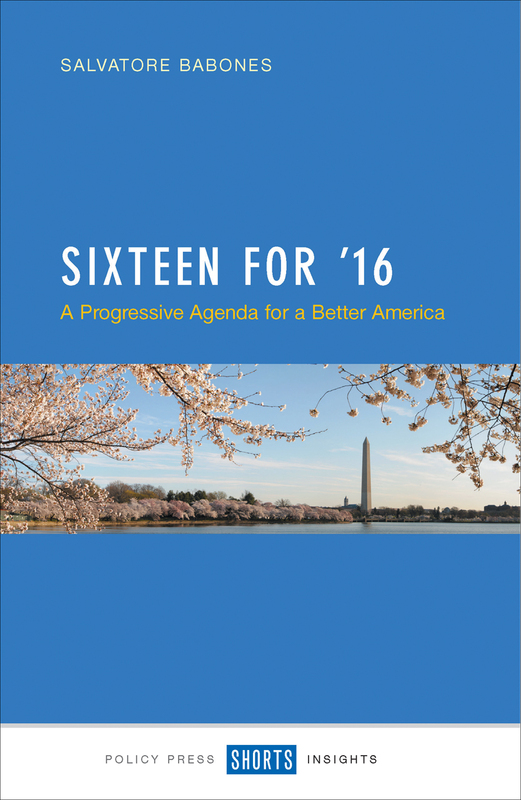 A clear, concise manifesto supported by hard data, Sixteen for ’16 makes a compelling case for each of these ambitious positions. And as ambitious as Babones’s suggested policies are, they represent a beginning, not an end. The progressive movement is on the march in America, and this accessible book charts a realistic path toward a destination all can believe in: a better tomorrow. Karl Helicher | Library Journal, "Pushing for POTUS | Collection Development: Political Campaigns"
"If you can't bear the thought of still another Presidential election campaign that offers no real answers to the problems we face, read this book—and share it with your friends—and with your favorite Presidential candidate."